Next month the 35th edition of the San Francisco Fall Art & Antiques Show will bring together sixty top dealers from around the world to Fort Mason’s Festival Pavillion. Chairing the show for the second year in a row, designer Suzanne Tucker, has chosen “Animalia – Animals in Art & Antiques” as the theme. From four legged pets to birds, farm and jungle animals, to sea and mythical creatures, animals have been featured on furniture, decorative objects and jewelry for centuries, often with symbolic intent. The theme represents a vast range of glorious possibilities from ancient to contemporary art in a wide choice of mediums. A few of the dealer preview images show the fabulous fun in store for collectors. 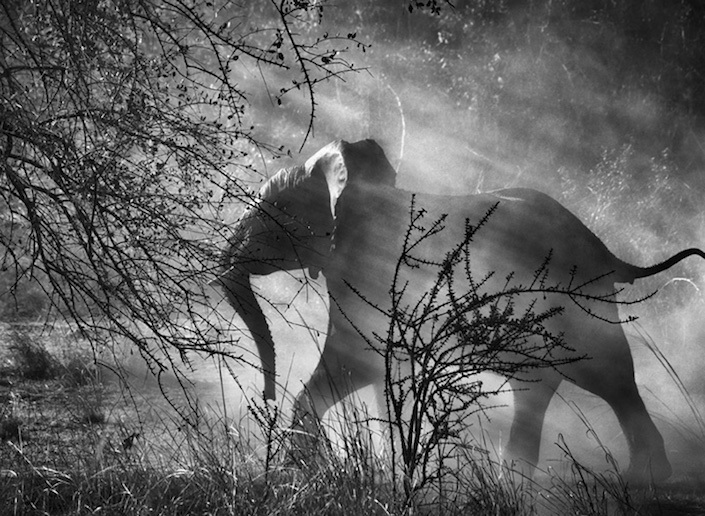 Above, from the wealth of Peter Fetterman‘s distinguished photographic holdings, the majestic Elephant (Against light), Kafue National Park, Zambia, 2010 by Sebastião Salgado (Brazil, b. 1944). From Arader Galleries, Albertus Seba’s (1734-1755) magnificent Thesauri. 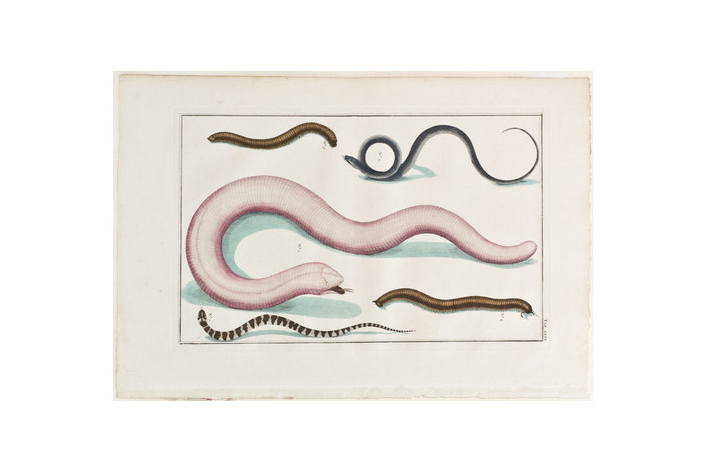 This catalogue of hand colored-copperplate engravings feature his personal natural history collection, an immense conglomeration of specimens of a number of exotic plant and animal life. The artist’s stylized creatures become almost abstract in their unusual depictions of natural life. Also from Arader, a completely different style of nature portraiture. 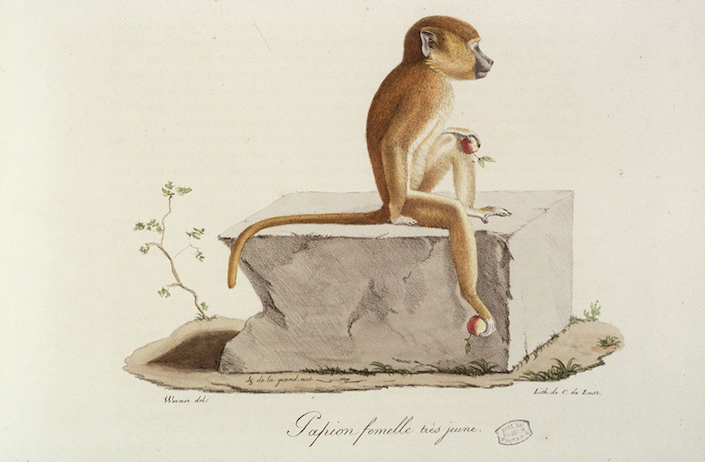 From Cuvier (1824-42), this “Papion Femelle Tres Jeune” illustrates the artist’s ability to give life and personality to his subjects through exquisite detail and thoughtful pose and setting. 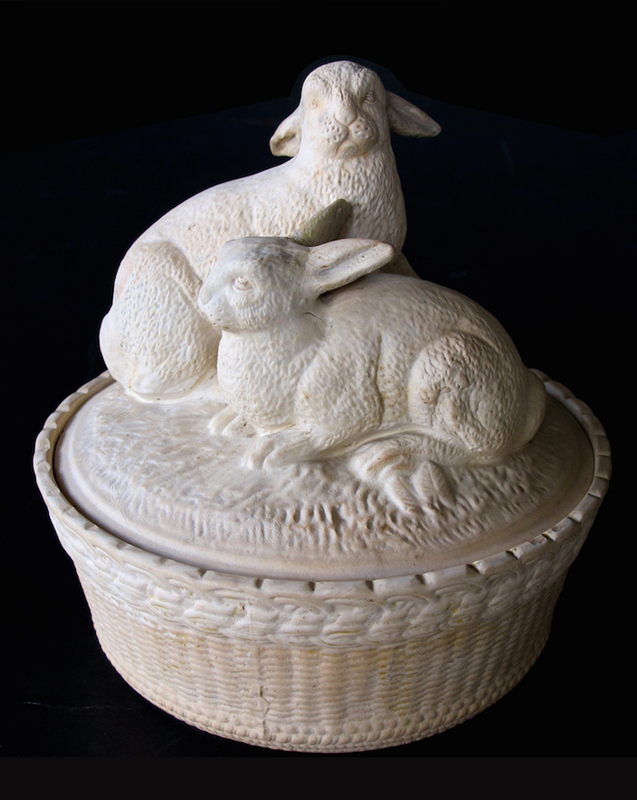 How charming is this French basket-weave bowl topped by a cover with two adorable rabbits. From the late 19th century, it will be featured by epoca. I predict you are going to see more brooches making an appearance. 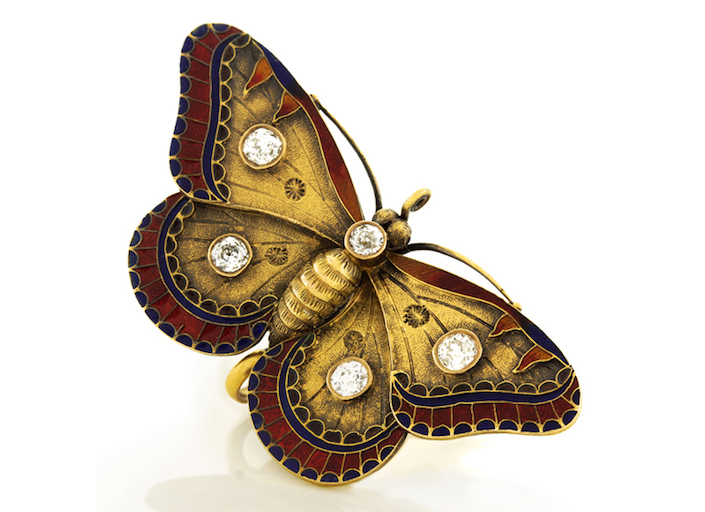 This stunning diamond and enamel butterfly brooch from Lawrence Jeffrey Estate Jewelers is an exquisite example of nature in American Art Nouveau jewelry (circa 1890). It would be impossible to discuss nature in art and antiques without mentioning the name Lalanne. While his wife Claude has tended to prefer the plant world, François-Xavier Lalanne liked animals. 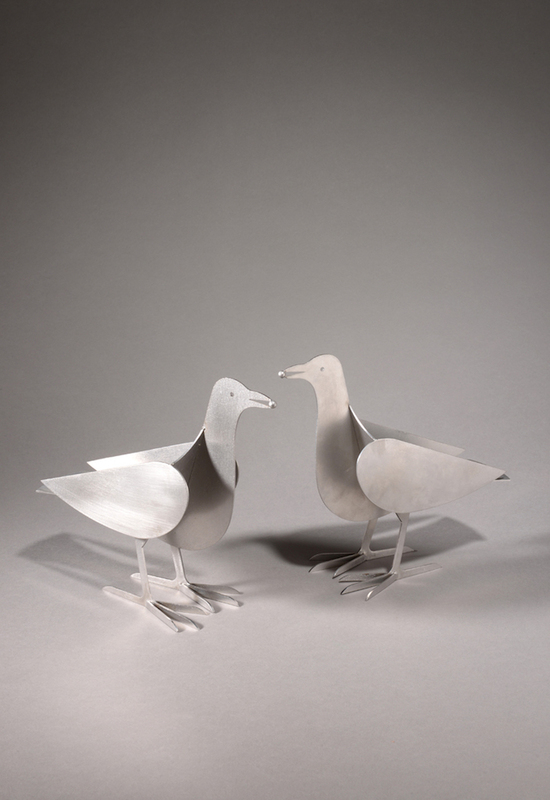 From Lebreton Gallery in San Francisco, this pair of pigeons is actually a set of brushed aluminum candle holders. From circa 1990, they are signed Editied by Artcurial – Paris. 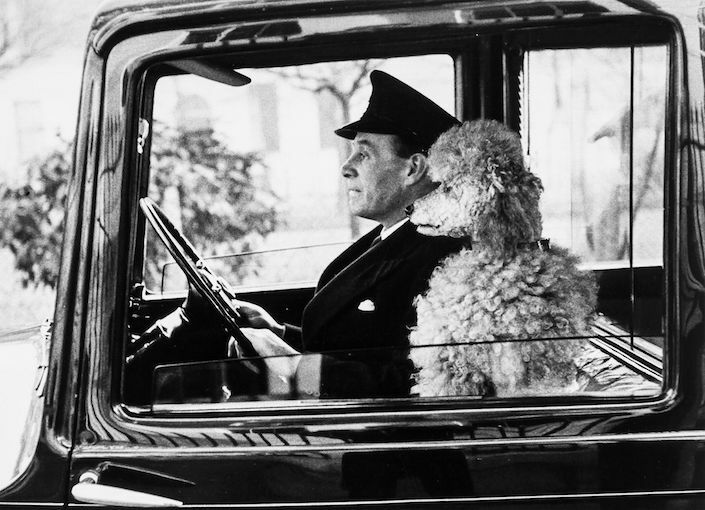 In addition to celebrating our fascination with the animal kingdom (as in the Thurston Hopkins photo from Peter Fetterman, above), there is a great series of programming and there will also be four “designer vignettes” at the show’s entrance including custom-designed wall covering developed in collaboration with De Gournay and the designers: Ann Getty, Catherine Kwong, Antonio Martins and Jonathan Rachman. This entry posted in art, furniture, interior design. Entry Tags: antiques, San Francisco, San Francisco Fall Art & Antiques Show Bookmark the permalink. Love that show. We are currently working on an article with Suzanne Tucker the chair of the show. If anyone wants to submit a quote for the article let me know. Since the theme for the year is “Animalia – Animals in Art & Antiques” is should be fun! 81 queries in 0.436 seconds.